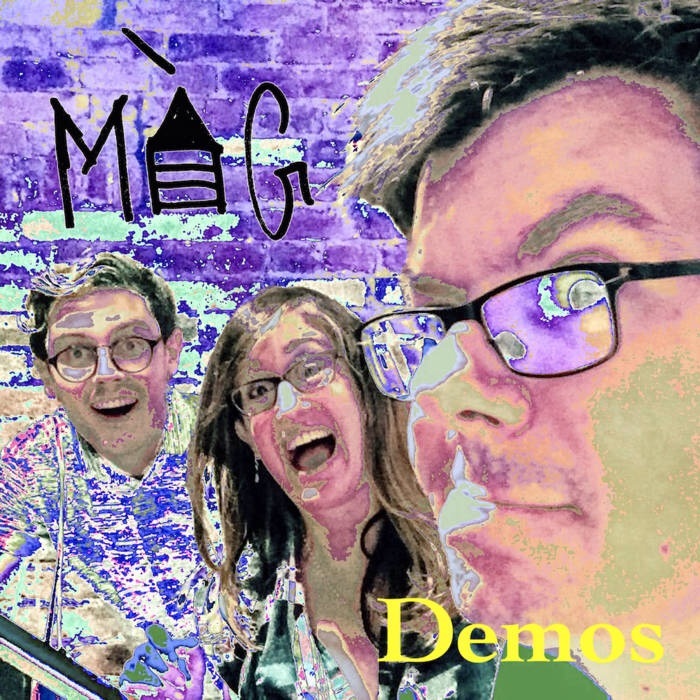 Menàge À Garage is a pop punk band from Washington, D.C. This is a band with a very unique yet familiar sound. Somewhere between heavy punk rock and a slower indie sound, Menàge À Garage firmly forges their own unique style. All of the musicians in this band stand out. The way the songs are written on The Demo EP utilizes the bass, guitar and drums of this three piece. What stands out to me is the way they can write a dark sound over a nice melody. Die in a fire, the opener of the EP, is full of a morose speculation about life, and the way that good things can fade away. The band I’m reminded of the most is They Might Be Giants. Any fan of them would more than likely enjoy this EP. This band did remind me more of a feeling than a specific person. The flow of the sound overall to me directed to someone else. A series of seven messages, some subltle, others obvious, and some song about an alien. This is where Menàge À Garage stands out strong. The effects in beginning, the catchy, upbeat chorus make for a song that’s fun to listen to and one that I came back to a lot while writing this. Menàge À Garage isnt the kind of bands that sticks to writing one kind of song. On The Demo EP, there’s a different sound to every song, while maintaining a consistent tone throughout. Asyphixiation, is a slow and romantic ballad that surprised me when I first heard it. This song has more of a Smashing Pumpkins 90s slow groove, but that’s something I haven’t heard done as much lately. It was nice to hear that kind of song again. The closer, Lovely Lover, is one of the catchiest, ear worm songs in my life. I had to listen to it multiple times to finally get it out of my head after three days, I couldn’t even believe it. It’s a great song, a classic four chord bass line drums throughout over the lead vocal wailing, it reminded me of an old Weezer song. This is a good album for anyone that’s into pop punk, 90s alternative, or grunge.